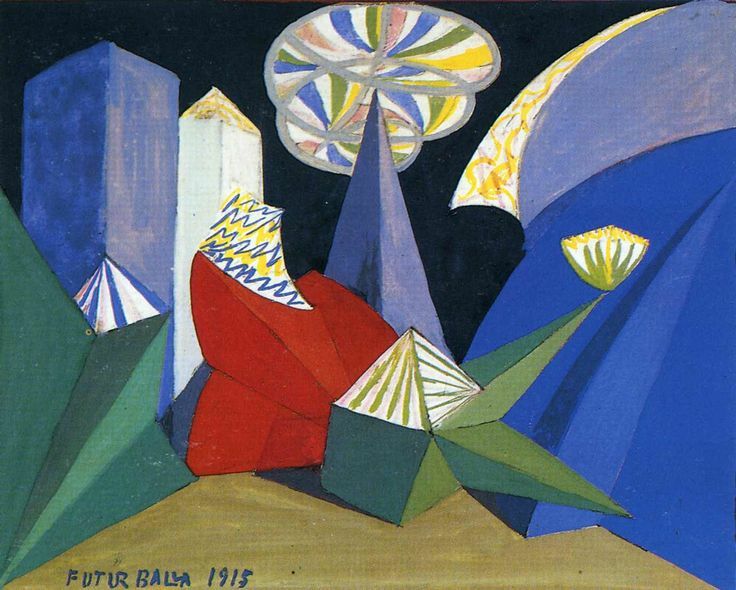 Feu D'Artifice, Italian for "fireworks", is a digital reimagining of Giacomo Balla's Feu D'artifice piece. Originally designed by Balla in the early 1910s as a ballet of lights, it was meant to be performed with a monumental set design, dynamic lighting and no actors. To create the digital piece, we reconstructed Balla's original design to scale in 3D. Then, with Franco Sciannameo's direction, we choreographed the scene's lighting to a musical piece by Igor Stravinsky. This piece was originally composed by Stravinsky to be used in the ballet of lights.